I spotted this red-winged blackbird perched on a tree at the Humber river. 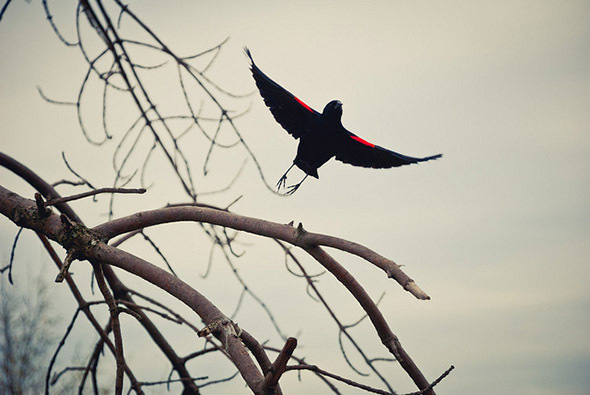 My friend said you have to see the red markings on their wings and then the bird took flight showing off its red wings. Saturday evening as the sun was setting I slipped thru a crack in the fence of this demolished building on the corner of Adelaide & Bathurst.